In wake of the Safe Internet Day, Google is constantly introducing new features and tools to make the virtual world ‘better’ for the users. The tech giant is focusing on Android and other entry-level smartphones that don’t run on processors optimized for AES and launching Adiantum for file encryption. Adiantum is a new form of storage encryption launched by Google for devices that don’t hold the latest ARMv8 processors and thus are unable to support the Advanced Encryption Standard (AES). Google is specifically aiming at processors based on the ARM Cortex-A7 that includes the smartwatches and TV lacking the specialized hardware. It also claims that the AES is relatively slower in entry-level devices that results in poor user experience and app operation at snail-like speed. To solve the issues faced by these users, Google has come up with the Adiantum that is built with ‘security’ in mind. To find out more about how the new processing system works, check out the new research paper by the company and a detailed blog post covering all its features. Reference code, test vectors, and a benchmarking suite is now available on GitHub for OEMs can utilize it for full-disk or file-based encryption on devices running on Android Pie that are unable to meet the AES requirement. 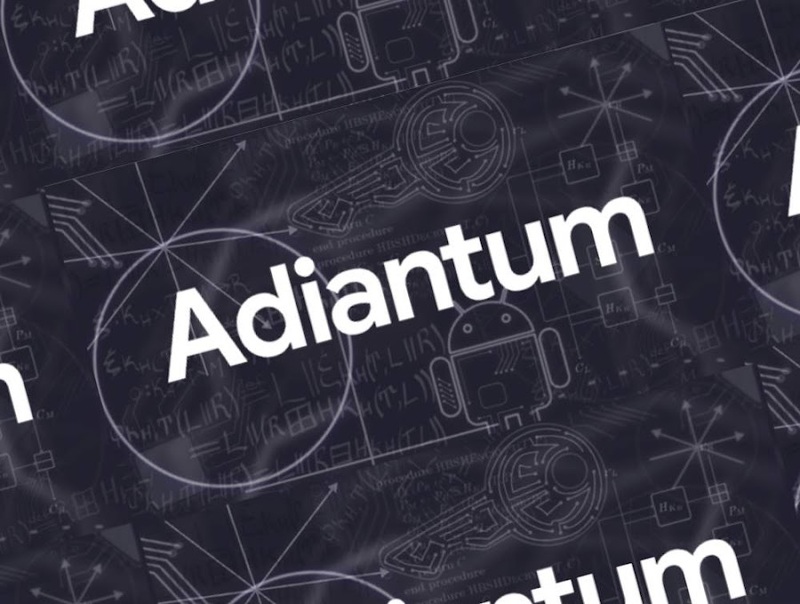 Additionally, Adiantum will be part of Android Q with Google also planning to update its Android Compatibility Definition Document (CDD) that will make all new Android devices liable to encryption by using any of the permitted encryption algorithms. "Our hope is that Adiantum will democratize encryption for all devices. Just like you wouldn’t buy a phone without text messaging, there will be no excuse for compromising security for the sake of device performance." said Eugene Liderman, Director of Mobile Security Strategy, Android Security & Privacy Team. Adding further, "Everyone should have privacy and security, regardless of their phone’s price tag." "Storage encryption protects your data if your phone falls into someone else's hands. Adiantum is an innovation in cryptography designed to make storage encryption more efficient for devices without cryptographic acceleration, to ensure that all devices can be encrypted."